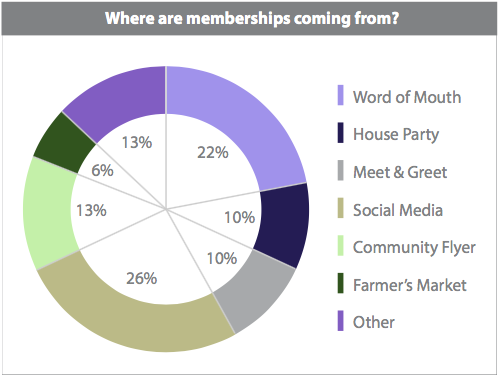 On the first of September we hit #263 Member-Owners. At thursday's City of Elk River Farmers Market a really great thing happened.... Donald Davies and Mary Rice walked up to our table after seeing a community flyer at Pompeii Pizzeria and immediately said "we want to support this". And so they did. Congrats on being Member Owner #263!! We are only 37 Members away from hitting our Annual goal of #300 member-owners. Have you committed to your local co-op yet? Alyssa Johnson grew up in Elk River and graduated from the University of Minnesota - Duluth with degrees in both marketing and finance. Her plan is to make the co-op more visible in the community and strengthen the relationship between supplier (local farmers) and consumers (YOU, our members!). She has always been interested in nutrition and sustainability and wants to share her passion with her hometown and surrounding areas. When she isn't working hard for the co-op she spends her time lost in the woods, relaxing at the lake, or in the kitchen finding new recipes. Alyssa believes co-ops are the way of the future and can't wait to shop at the ERA Food Co-Op! To read the full story check out the Elk River Star News. The Elk River Area Food Co-op is back home from the 2017 Up and Coming Food Co-op Conference held in Milwaukee, Wisconsin. We had the chance to meet, learn from, and share with dozens of other food co-op's. We are so happy to share the exciting news -- Not only did we leave with a priceless amount of new knowledge and insight to move forward, but we were chosen to return next year with a $1,500 GRANT!!! The co-op is evolving and we are so thankful for all the folks helping along the path. Thank you to our board members and staff who attended the conference, thank you to Outpost Natural Foods Co-op for all your work, thank you to everyone at Food Co-op Initiative for all your time and expertise, thank you to all the sponsors who made the conference available and thank you to every start up co-op that took time to learn how to better their communities and push through the challenges. The future looks bright, keep on shining!!! Membership Update: 200 & Beyond! HOLY LENTILS! Have you heard the news?? The numbers are in and we exceeded our February membership goal. We now sit with 201 Elk River Area Food Co-op Member-Owners. Thank you Chris Martel, Rachel Hilyar, Bekki Day, Michelle Hall, Nicole West, Todd Kelven, Julie Severs, George Walker, Rachel Hoey, Brianna Collins, Carol Lamphere, Ryan Alcott, Brian Harvey, Heather Coleman, Garrett Hengstler, Liane Oanes, Janice Sack, Stuart Patterson, Greg Enkhaus, Jan Blount, Darlene Marotta, Jessica Busch, Randean Miller, Jennifer Worsen, Mary Hackenmueller, Marietta Saxon, Michelle Flahave, Connie Stewart, Brenda Kane, Kristin Frame, Alan Blake and Lisa Olson, Shane Durkopp and Faydra Hillstrom. These are our friends and neighbors who support the co-op vision and want to have a reliable source for all their healthy food needs! We've come a long way, yet have a long way to go. 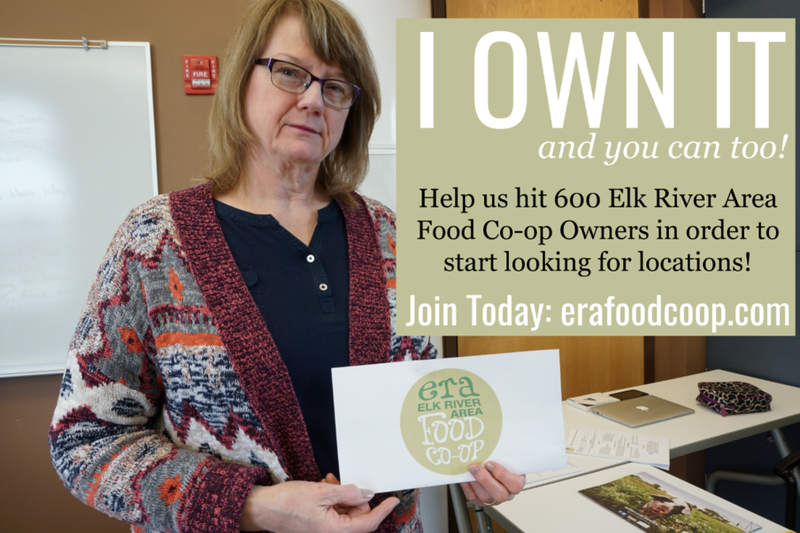 Keep spreading the word and telling people why you value the Elk River Area Food Co-op! Not a member? What's holding you back? Reach out and get your questions answered. Thank you Randean Miller for being #190!! 9 days ago we hit 180 and look where we are at. If we can continue to grow this fast we could have a store location picked by the middle of 2018. Keep spreading the word and tell your friends why you 'own it'! The more members we get, the quicker this co-op will develop. The Co-op is Growing: Celebrating 170! Since the beginning of 2017 we have added EIGHT new MEMBERS to our growing co-op team! We hit another milestone, we are now at 170 Elk River Area Food Co-op members. This weekend people were thinking about the co-op. We are now at ONE HUNDRED AND SEVENTY member-owners. That is amazing. Your investment puts us that much closer to making the co-op dream into a reality! Can we make it to 200 by the end of February?? Yes, we can. And this is how…. Not a member? Sign up today. All it takes is a one time investment and you get a lifetime of benefits. We currently have TEN small business partnerships offering discounts to co-op members. Members receive discounts on classes plus are the first to know about everything that is going on with the co-op. Sign up today and support local, strengthen your community, and help the co-op grow! For more information and to register, check out our Membership page. Currently a member? Tell all your friends, share our posts, become a partner, join our community classes, host a house party. 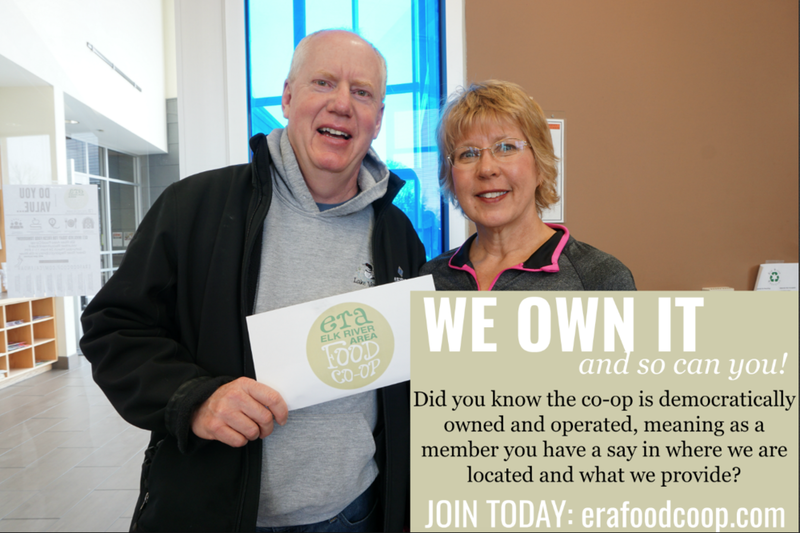 The only way for this thing to really happen is for ALL OF US to proudly support and promote the Elk River Area Food Co-op. What a wonderful way to ring in the New Year! Lets keep pushing forward. Keep spreading the co-op word and tell all your friends and family about our efforts. Education and awareness is the only way to bring about change. Lets hit 200 by February 28th!! We just hit 180, we just hit 180! Thank you Brian Harvey for making your commitment to the co-op vision and values. We are one step closer to making the co-op dream a reality. Brian joined because he realized how much he missed the quality and variety offered at the co-op in his old Minneapolis neighborhood. He wants to be able to spend 'locally' as often as possible and can't wait to see the Elk River Area Food Co-op doors open! Our goal is still 200 by the end of February, help us get there. Already a member? Tell ALL your friends and family. You are an owner and have a huge part in the development of this dream! Haven't made the leap? What's holding you back? Go to our website for more information and to register today!